Different Types of Window Materials and Their Advantages | 41 Lumber - Serving Iron Mountain and the U.P. Are you looking for replacement windows for your home or business? With so many types to choose from today, it can be a daunting task to choose the right windows to fit your needs. Generally, the different materials for windows actually refer to the material of the window frame. However, you can also choose between double paned and single paned windows. Single paned windows are better for those with a lower budget, but double paned windows have a few advantages that you may want to consider. Single paned windows are cheaper to purchase and replace, but they do not share the same efficiency and insulation strength of double paned windows. Double paned windows insulate your home considerably better than single paned windows. This translates to less spending on heating and cooling the house. Therefore, double paned windows may pay for themselves in the long run! 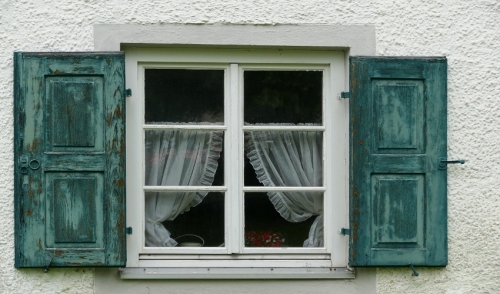 Double paned windows also protect your house from noise pollution. If surrounding noise is an issue, double paned windows will allow you to enjoy the peaceful environment of your home even more. Double paned windows do let in less light than single paned windows, though the difference is barely noticeable. Your basic choices for window frame materials include aluminum, vinyl, fiberglass, and fibrex. Aluminum frames are rarely used for residential buildings, but they can be well suited to commercial applications. Aluminum as window frame material sacrifices insulation for strength. Metals are cold when it is cold outside and hot when it is hot outside, so aluminum frames will not keep your building warm in the winter or vice versa. If strength is your primary concern, then aluminum frames may be a good choice. Vinyl windows are the most common today. Vinyl is the most popular material right now because it is easily manufactured while still maintaining beneficial properties as a window frame material. The combination of high value and low cost makes it the standard choice for many. It has good resistance against heat transfer, making it a good material for insulation. A downside to vinyl is that there is a lack of color selection that goes along with the material. Fiberglass is becoming more and more accepted as a material for window frames. The buying public was initially skeptical about fiberglass: people thought that fiberglass lacked strength and resistance to temperature. However, these myths have been gradually overcome, and fiberglass is now accepted as an alternative to vinyl. Unlike vinyl, fiberglass can be painted over, giving aesthetic freedom to the owner. Fiberglass is also better for larger windows because it can withstand the stress of larger windows better than vinyl. Fibrex is a cutting edge material that tries to combine the best of all these options. It is a composite made from wood fibers and epoxy resin. The material is made to resemble wood, but it contains no material that will ever rot or deteriorate, making it a good choice for people who like the look of wood but also want durability. Furthermore, you can paint over it, giving you the ability to choose whatever color you like.